A third judge has ruled that adding a citizenship question to the 2020 census would be unconstitutional, according to court records. In a nearly 120-page opinion filed Friday, U.S. District Judge George Hazel ruled the question’s inclusion on the coming census would be unlawful. “The defendants are permanently enjoined from including a citizenship question on the 2020 Census, regardless of technical compliance with the Administrative Procedure Act,” court records show. More than a month after closing arguments were held in the federal trial related to the 2020 Census, the court ruled against the defendants, which included the U.S. Census Bureau and U.S. Commerce Secretary Wilbur Ross, who oversees the bureau. The lawsuit alleged that Trump administration officials conspired to add a citizenship question to the census to discourage people in states with large immigrant communities from filling out the questionnaire, likely resulting in an undercount. It was filed earlier this year by the Mexican American Legal Defense and Educational Fund, or MALDEF, on behalf of La Union del Pueblo Entero, or LUPE, Asian Americans Advancing Justice, and several others. MALDEF’s lawsuit is also among several filed against the administration nationwide over the addition of the citizenship question, and the third to end with a ruling in favor of the plaintiff’s. Prior to the lawsuits, Ross, who oversees the U.S. Census Bureau, announced the question’s inclusion in the decennial questionnaire last March, just days before the questionnaire was to be finalized. 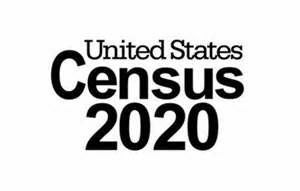 This prompted condemnation and a rebuke by multiple attorneys general and the aforementioned subsequent lawsuits challenging the administration’s authority to add the question to the coming census. In short, the MALDEF lawsuit alleged that Trump administration officials and others conspired to deprive immigrants of color of their constitutional rights to equal representation and to fair allocation of federal funds by adding a citizenship question to the census, which could potentially lead to the aforementioned group from participating in the count. The lawsuit, LUPE v. Ross, was subsequently consolidated with Kravitz v. U.S. Department of Commerce, another challenge to the citizenship question filed with the Maryland court. Co-conspirators named in the suit are Donald J. Trump, Ross, Stephen Bannon, who served at the time as White House advisor, and Kris Kobach, who then served as Kansas secretary of state, documents show. The court’s ruling Friday in Maryland follows news earlier this year that the Supreme Court would “fast-track” the case — taking it from a U.S. district court in New York — and bypass any court circuit appeals. U.S. District Judge Jesse M. Furman of New York ruled on Jan. 15 that the Trump administration’s attempt to add a citizenship question to the 2020 Census was “unlawful,” and ordered it removed from the questionnaire. At the heart of the plaintiffs’ case is Ross adding the citizenship question at the administration’s behest in an alleged effort to deter a certain segment of the population from participating. Ross testified before Congress in late March of last year that he added the citizenship question at DOJ’s request, but emails released as part of ongoing court challenges show that Ross was working to add the question before he received a letter from the DOJ in December 2017. Local county officials, who are part of the lawsuit, continue to promote the census because of how crucial a complete count is to the region. Earlier this year, Hidalgo County Judge Richard F. Cortez reiterated the importance of participation following the ruling in New York. “The census mandate is to count everyone that resides in the U.S. There have been challenges in the past and there will be challenges in the future, but I and commissioners court will continue to work diligently to make sure Hidalgo County is accurately counted and is provided the resources and tools we are due,” Cortez said. On Monday, Hidalgo County officials marked the one-year countdown to the Census with the launch of the county’s “United We Count – Unidos Contamos” campaign to raise awareness about the importance of a complete count. MALDEF officials said as the citizenship question issue moves toward the Supreme Court, Congress can still act by enacting legislation to remove the citizenship question.